Korean tech giant Samsung isn’t having a good year with mobile. The company launched its Galaxy S9 lineup with the usual flair but no significant upgrades. The main selling point of the pair were their variable aperture sensors for the rear cameras. While these sensors do deliver some fantastic results, the Galaxy S9 and S9+ as a whole fail to impress. Not only did Samsung cop out at giving us a new form factor, the pair’s various problems such as overheating are well known. With this in mind, the company’s heading into a semi-reboot of the lineup next year. Today, we’ve got more details about what should be the Samsung Galaxy S10 lineup. Take a look below to find out more. If there’s one thing that can be said with certainty about the flagship smartphone market, it’s that change is definitely in the air. Apple’s rumored to move towards a lower price point with the 2018 iPhone lineup, by introducing a 6.1″ LCD iPhone 9 (tentatively dubbed). This move is expected to entice older users for an upgrade, as Apple hopes to make the shift to Face ID or 3D facial recognition permanent on its smartphone lineup. 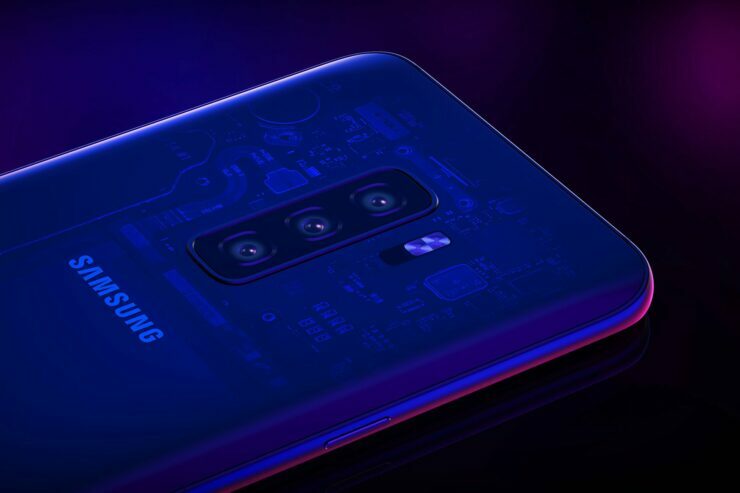 Samsung is also rumored to launch three Galaxy S10 devices next year, codenamed as Beyond0 for the 5.8″ entry level, Beyond1 for the 5.8″ standard, and Beyond2 for the 6.1″ plus Galaxy S10 variant. Today, tipster Ice_Universe speculates on ‘candidate colors’ for the lineup as a whole. According to him, Samsung will launch the Galaxy S10 lineup in black, white, green, silver, and pink color variants. The tipster also mentions the colors as ‘candidate’, so we’re not sure if Samsung has reached the final decision in this regard. Given that the S10 launch is at least five months from now, the Korean tech giant nevertheless has plenty of time to change its mind. Additionally, Green as a color option for the larger Beyond2 doesn’t sound very feasible if Samsung intends to continue its brand image of premium smartphones. In all likelihood, if previous rumors bear fruit, then the more striking color options will surface only on Beyond0, the entry-level Galaxy S10. This rumor also reminds us of a report for Apple’s 6.1″ LCD iPhone 9, rumored to come in five color options that also include Orange. Colorful times indeed. Thoughts? Let us know what you think in the comments section below and stay tuned. We’ll keep you updated on the latest.